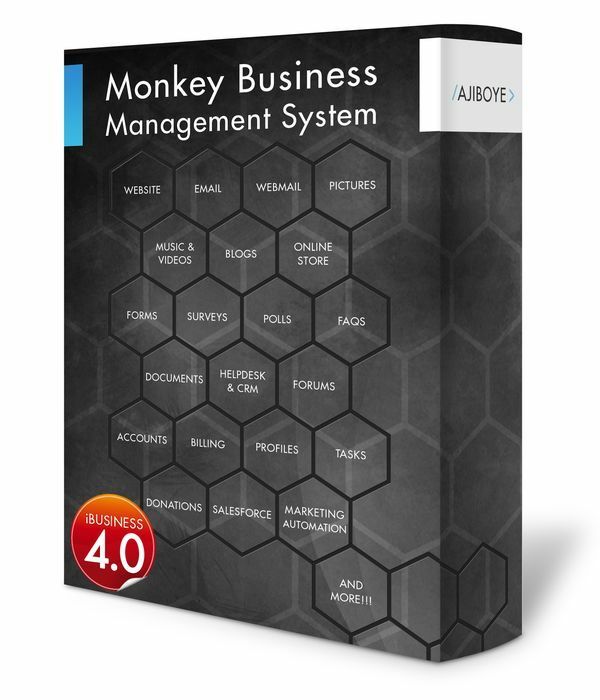 News > Monkey Business 4.01.09 Release - upgrade today! Monkey Business 4.01.09 Release - upgrade today! Greenwich, CT — Wednesday, February 01 2017 — AJIBOYE Monkey Business Agency is pleased to release Monkey Business 4.01.09. Catalog Manager & Online Store: Google Merchant & Shopping Network support; with automatic generation of google merchant product feeds, setup and selling in the Google Merchants & Shopping Network is now simplified so businesses can offer the products in the Google Shopping Marketplace. Invoice Manager: Payment processor / method used to process payment is now prominently displayed on order receipts, along with optional and configurable requiring processor verification and agreement by users before submitting payments. This is designed to help reduce avoidable chargebacks due to customers not recognizing the payment processor names showing up in transactions on their banking statements. Invoice Manager: New bo_non_revenue flag to support non-revenue impacting orders and workflows, for example in escrow funds management. Performance Optimization: Automatic assets invalidation using version numbers now delivers seamless upgrades and invalidation across content delivery networks (CDNs) like Amazon Cloudfront, reducing management overhead for sites with performance optimization and content distribution activated. For others, it provides faster update of users browser local cache following upgrades to minimize errors and improving end-user performance and experience. Catalog Manager: Fixed bug affecting dynamic loading of the user interface controls for Custom Pricing Options, and Warehouses for catalogs with 1000+ of these items. Fixed data double-encoding issues that can be caused by data import/export/exchange between local catalog and third-party inventory management systems. Numerous bug fixes to address issues in the new platform Performance Optimizations and Quick View features. Quick Email: Redesigned user interface offers a cleaner, fluid and overall better experience. Quick Email now sends emails using the business and website standard email template. Upload Tool: Redesigned user interface offers a cleaner, fluid and overall better experience. Fullscreen Mode: Redesigned the fullscreen mode, activated by features such as Quick View, Photo Galleries, and Monkey Business Editor, to address performance and legibility issues on tablet and mobile platforms.